I’ve been a wee bit massively busy lately, as you may have noticed. C.J. and Chase’s last day of school is today, my day job is busier than usual and I’ve been working on a side project that I can’t wait to tell you about some day. Don’t you hate it with people vaguely allude to exciting news and then reveal nothing? Raising My Rainbow is being released today in ITALY!!!! I am not fluent in Italian, so I will not be able to read it. But, if you can, you should. Click here to order it. 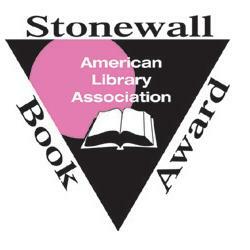 This weekend I’ll be in Las Vegas for the American Library Association’s Annual Conference, where I will be presented with the 2014 Stonewall Book Award-Israel Fishman Non-Fiction Award. I’m seriously so excited! What should I do while in Vegas? Suggestions welcome! Last but not least, PFLAG national reblogged my Father’s Day post to their A Note To My Kid website. A Note to My Kid is a project of PFLAG National that gives parents, families, friends and allies of the LGBTQ community the opportunity to share their unconditional love, via notes, photos and videos. It’s such a touching project. Check it out and write a note to your kid. More soon, I promise. Maybe a photo or two from Vegas? This entry was posted in All Posts and tagged ALA, American Library Association, Gay, Gender, gender creative, gender nonconforming, Italian, Italy, LGBTQ, PFLAG, Raising My Rainbow, Stonewall, Stonewall Award. Bookmark the permalink. 7 Responses to Raising My Rainbow….In Italy!!!! I am Italian. I have read “Raising my rainbow” in English and I have found it enlighting. I have written a 5-star review of the Italian version in amazon.it. Should you come to Italy, please count on me for supporting you in the organization of your visit to Genoa. Let me know if you want it translated into Norwegian….I can help!! Noooo!!! months of struggle and study to follow your story and family from Bologna (Italy) and now I can find it translated into my language… OK, tomorrow I’ll definitely go to a bookshop. And just in case you plan to visit this country you’ll be most welcome! Went to Vegas last year for a conference and basically just walked around. The outside of New York, NY is impressive. For a cheap tour, the monorail was a great way to see the layout of the city. http://www.vegas.com/transportation/las-vegas-monorails/ We did go to the top of the Eiffel Tower – Great Views! The one thing we missed and I’m now sad about was Fremont street. Its the original “strip” and now turned into a sensory-overload outdoor mall. Go at night to enjoy the lights. Congratulations on the award and enjoy Vegas! I just read your Ode to Matt on Father’s Day blog again and it is truly a sensational piece of writing that brings me to tears and simultaneous chills each time I read it. Way to go, Lori. Way to go, Matt.